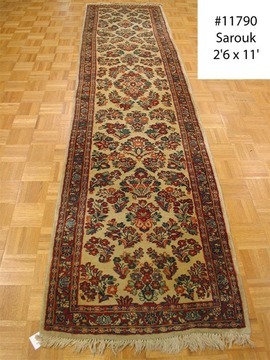 antique persian rugs are perhaps the most popular and notable of all antique rugs. 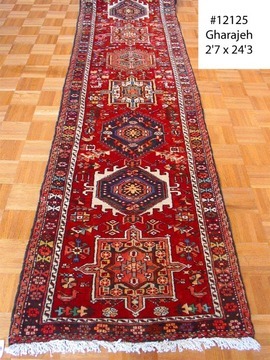 with evidence dating back for centuries, the skilled weavers and artisans of persian rugs have a long history of producing high quality and meticulously crafted rugs. 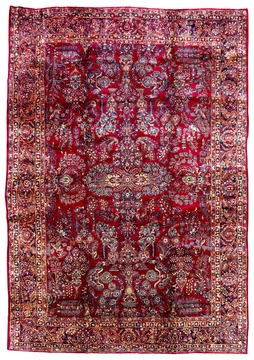 we have spent decades building our handpicked collection of antique persian rugs; through travel, research and a passion for antique textiles. 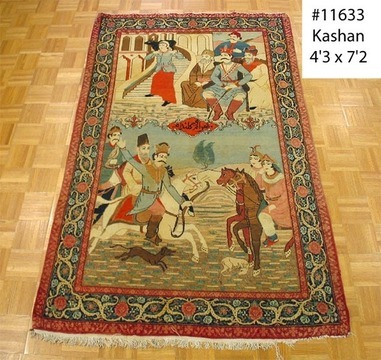 our antique persian rugs offer an exciting glimpse into the generational craftsmanship and brilliantly intrinsic beauty of persian rugs and floor coverings. 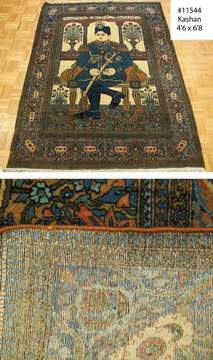 with a varying array of design patterns and images, antique persian rugs are broadly classified as either urban rugs or village rugs. 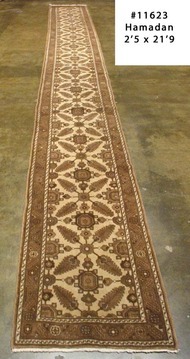 The urban or city rugs tend to focus on detailed oriented design and specific fabrics and threads. 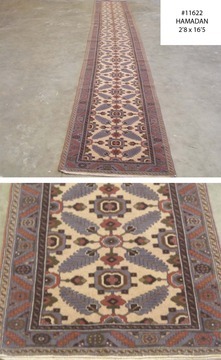 the village rugs are connected to the history of the nomadic cultures with storylines and styles passed down through the generations. 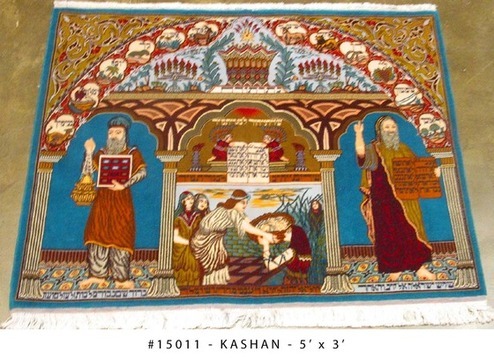 nomadic weavers worked more from memory and oral traditions creating a strong regional distinction in both design and palette. 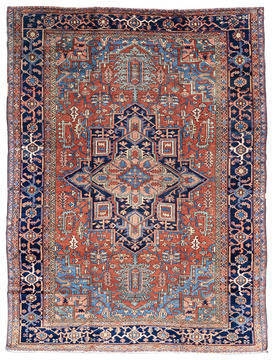 floral patterns and geometric designs dominate both types of antique persian rugs with repeating flowers, medallions, and geometric designs tipping off the viewer to its persian roots. 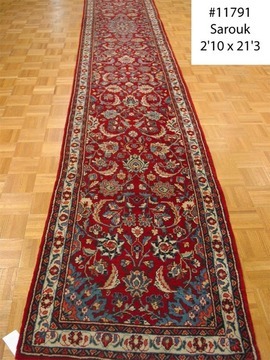 most antique persian rugs use the persian knot to create a small, tight weave that is repeated according to the design patterns. 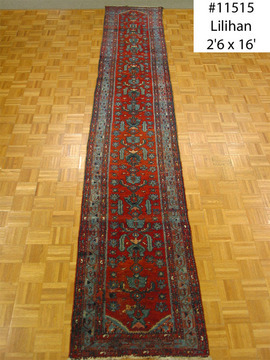 in the most complex persian rugs, these knot patterns can reach up to 550 knots per square inch. the result of this laborious and extremely detailed process is that the design patterns are highly balanced and seamlessly integrated into overarching themes. 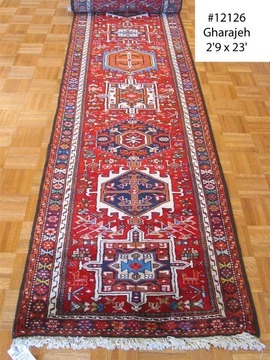 antique rugs woven with the persian knot tend to have a more symmetrical feel with a finely detailed overall aesthetic. 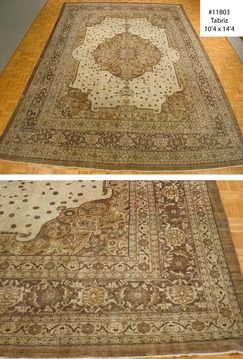 some antique persian rugs are so intricate, they took years to complete. 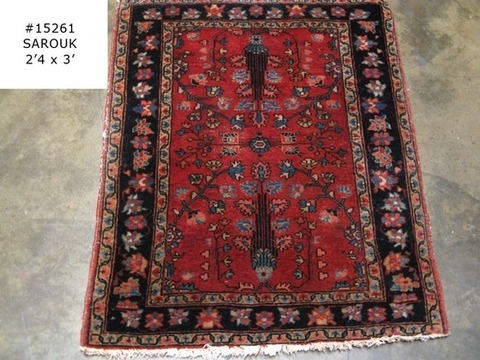 antique persian rugs are available in a full range of colors but some of the more common palettes of these types of rugs include rustic oranges, slate blues, and shades of sage. 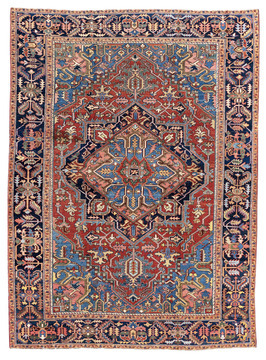 the melding of colors with design is an important factor for each weaver and a sense of subtle blending and overall harmony is felt in the finished rug. 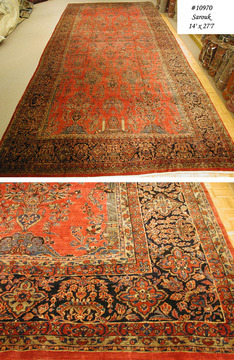 woven's wide collection of antique persian rugs includes rugs that were created over 120 years ago. 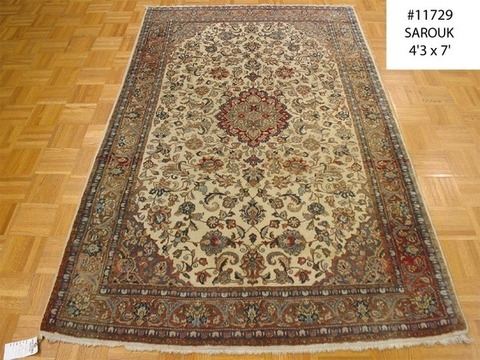 with age, these rugs continue to improve in both beauty and amazement. 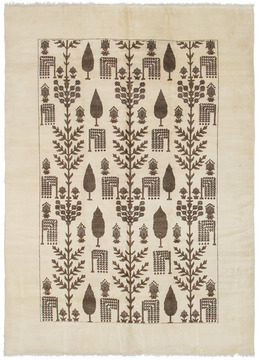 their colors soften and gently lighten as their design patterns remain bold and powerful. 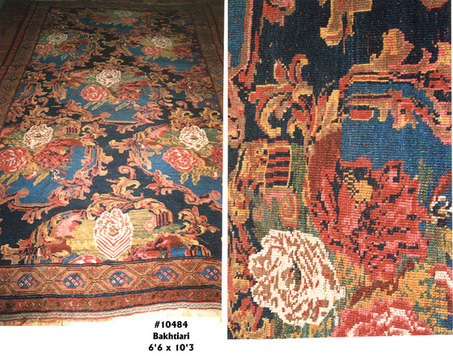 the original stories carried in these antique rugs are just as important to us as the actual product itself.